just had to take advantage of today’s sunshine. A fairly straightforward route this time – almost all off road – and the temperature reached 74F. I started in Shoreham-by-Sea, heading up the Downs Link as far as the old Toll-Bridge. I then crossed the Adur went up past Lancing College, Lancing Ring and over to Cissbury Ring and continued climbing as far as Chanctonbury Ring, Then it was back down the SDW to the Adur, up round Upper Beeding, climbing Upper Beeding Bostal before coming back down the SDW to the Downs Link, once round Shoreham Airport and back to my car. It was quite sunny with a mild northerly breeze to cool me down. I tried to keep my HR in training zone as much as possible – it was not possible on the Bostal climb, even at a slow pace. In the end I clocked up 20 miles at 8.6mph with c.1500ft climbing. A great ride in preparation for some more climbing tomorrow with Patrick. This weeks stat. so far are: 5 rides in the last 7 days totalling 124 miles with 2400m of ascent. 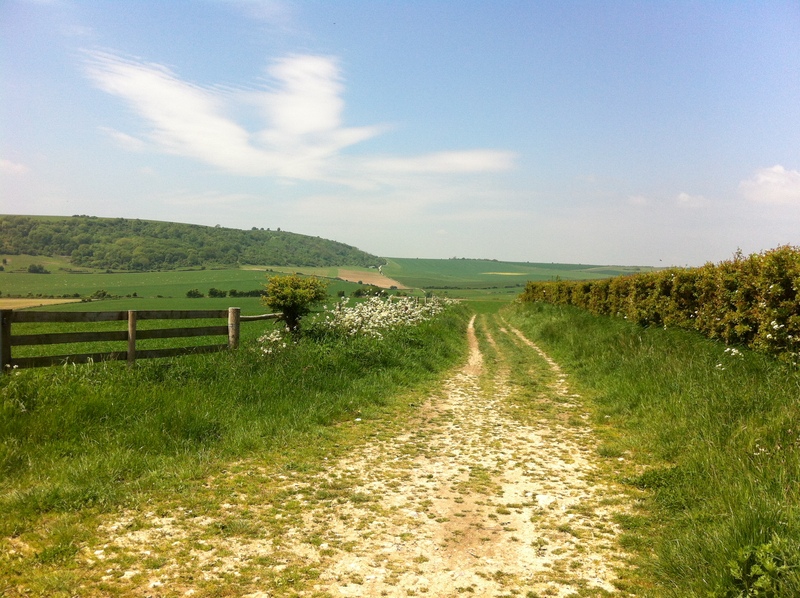 This entry was posted in Keeping Fit, MTB, South Downs Way. Bookmark the permalink.